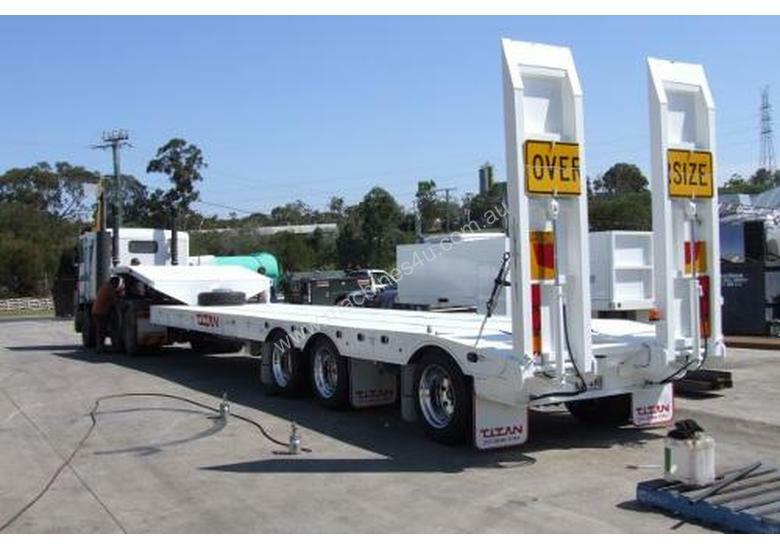 Titan Trailers include Single Axle Trailer, Tandem Axle Trailer, Tri Axle Trailer, Quad Axle Low Loaders, Tagalongs, Drop Deck Trailers, Spread Deck Low Loaders, Five Axle Spread Deck Low Loaders. 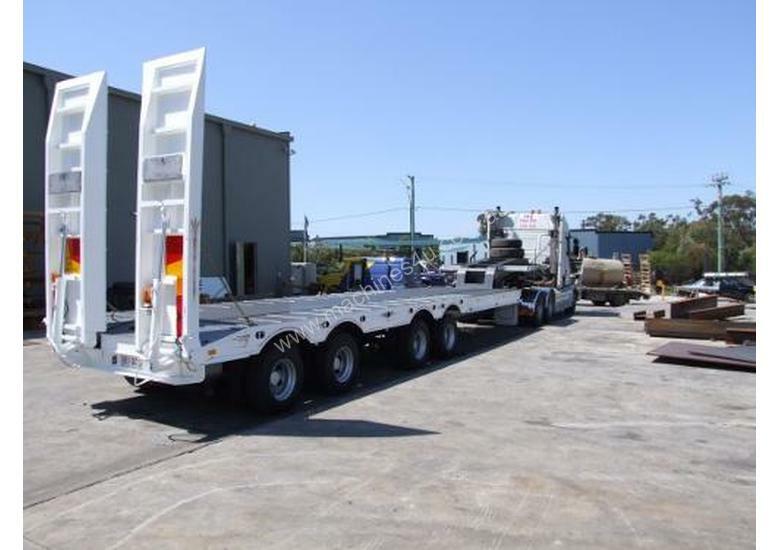 Our trailers are custom built to your requirements. Build time for Tag trailers is usually 3 weeks. Low Loaders usually take eight weeks from date of order. Various pickups are available: Bartlet Ball, Pintle Hook, Flying Saucer. 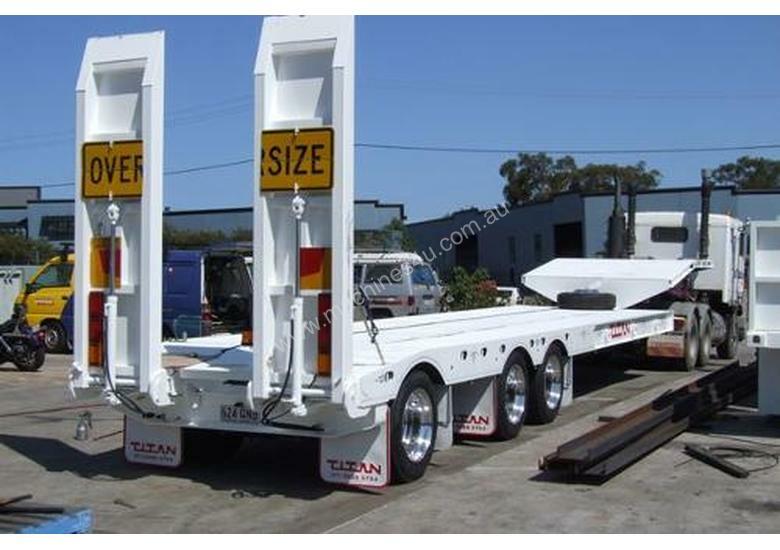 Titan trailers have a choice of sprung, hydraulic or air bag suspension. 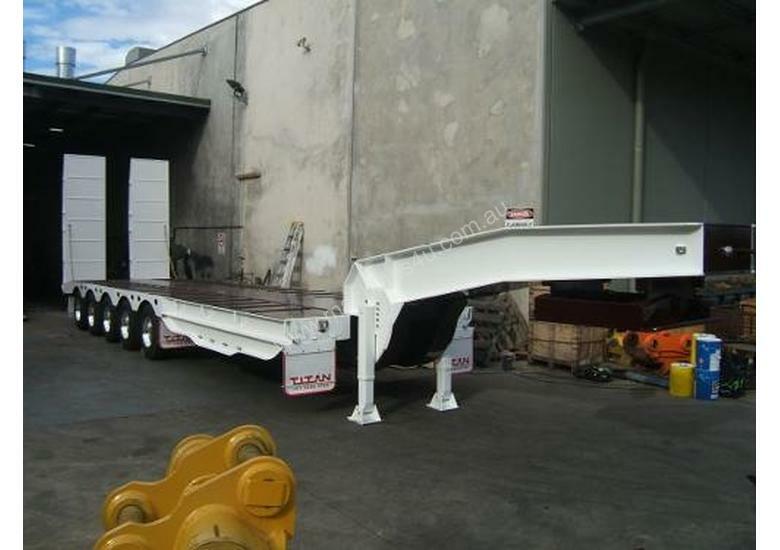 Ramps can be sprung, hydraulic or bi-fold, as required. 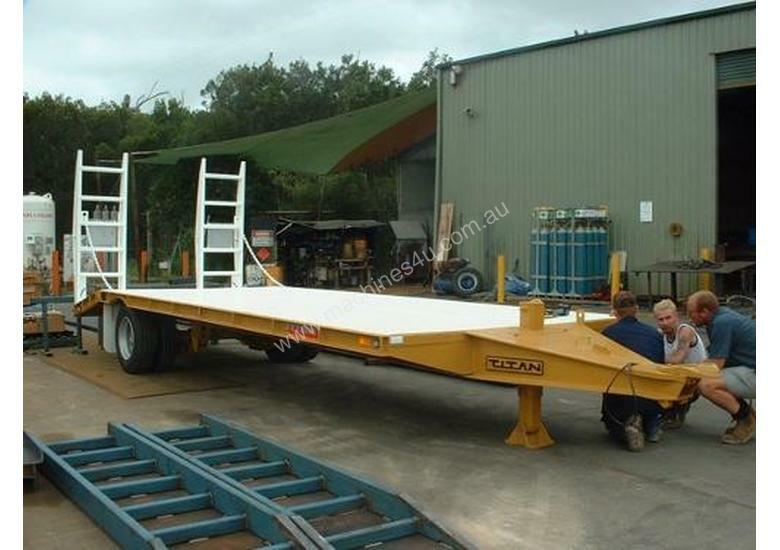 I write to express my total satisfaction with the purchase of our Titan Single Axle Tagalong Trailer, which transports a 7.5 Tonne steel track excavator from job to job.I have just recently had it passed by the RTA in NSW for registration and they commented that it was one of the best constructed tag trailers they have seen in a long time.Further to the RTA's comments, a number of other contractors in town have made the same complimentary remarks on how well our trailer was constructed and built. I look forward to continuing our business relationship in making further purchases from Titan Manufacturing.